The Airport Café is located in the quaint Salt Cay airport terminal. Little café at the Salt Cay Airport serves drinks and snacks. Open when a flight is scheduled. 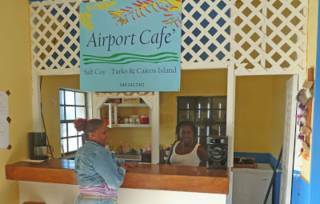 The small yet convenient Salt Cay Airport Café. Last reviewed by an editor on 7 November 2016.